USPA NEWS - The Kolbe Hotel in Rome is a Firm Favourite with Visitors from all around the World. Its Unique Combination of Ancient Architecture, Traditions and Modern Trends combine to make a Truly Luxurious Location not just for Tourists but also Business Meetings, which is why it's been named 'Best Luxury Business Hotel - Italy' in the 2018 Brand of the Year Awards. The Kolbe Hotel in Rome is a Firm Favourite with Visitors from all around the World. Its Unique Combination of Ancient Architecture, Traditions and Modern Trends combine to make a Truly Luxurious Location not just for Tourists but also Business Meetings, which is why it's been named 'Best Luxury Business Hotel - Italy' in the 2018 Brand of the Year Awards. Organised by Business Worldwide Magazine (BWM), the Awards recognise and reward Businesses that have performed Exceptionally over the Previous Twelve Months, proving themselves to be Dynamic Forces within their Industries. Not only have the Operations of these Businesses been of World Class Quality, but their Endeavour to push Boundaries, respond to Challenges and tackle Taboos has earned them Admiration and Respect from within their Sectors, making them Employers of Choice. To be considered for the Awards Companies must be able to demonstrate Exceptional Standards of Service to their Clients, along with a Continual Drive to develop Effective Methods of Delivery. BWM features the Success of these Organisations, highlighting their Exemplary Accomplishments and serving as an Inspiration and Role Model for others. The BWM Judging Panel was particularly impressed by The Kolbe Hotel, led by CEO Carl Izzo. 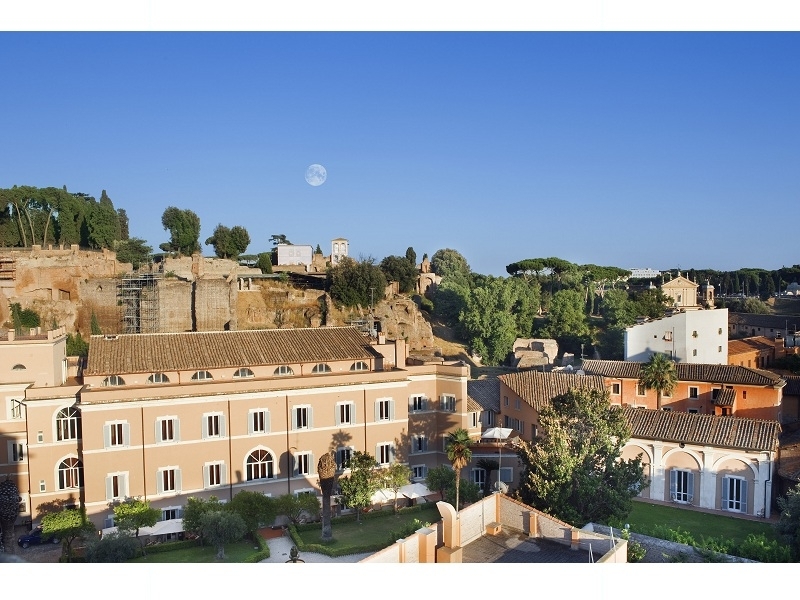 Situated at the Foot of the Palatine Hill and close to the River Tiber, the Hotel boasts Stunning Views that overlook the Roman Forum. It's a Place where Visitors can enjoy some of the most Breath-Taking Views in the World, along with Exceptional Food and Outstanding Accommodation. Steeped in History and Religious Significance, it's a Tranquil Place that takes its Name from Father Maximillian Kolbe ; a Man of Deep Faith whose Name has become Synonymous with Courageous Dignity. This is indeed a Dignified and Proud Building, but it's also Exceptionally Warm and Welcoming. The Romantic Location also means it's a Popular Wedding Venue. Business Leaders from all over the World have taken Advantage of the Hotel's Exceptional Conference Facilities, with many Prestigious Political and Corporate Events happening here. Izzo has Exciting Plans for the Future, with clear One, Three and Five-Year Strategies lined up. His Team are all clearly part of the Bigger Picture and there's a Great Sense of Camaraderie and Team Work ; all working to deliver a Unique and Memorable Customer Experience.